As Vuyyuru and surrounding villages are basically Agricultural Habitats. it was thought that there is necessity to equip the youth of this area with the knowledge of biology. Hence, the Institute offered a course with Botany as a main subject in B.Sc. The Department of Botany was established in the year 1975. 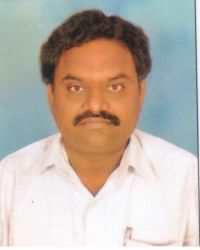 To start with, two faculty members were recruited ; Mr. P. Kesava Rao M.Sc., Mr. B. Koteswara Rao M.Sc. An Additional B.S.c (B.Z.C) English Medium section was sanctioned in the year 1980. 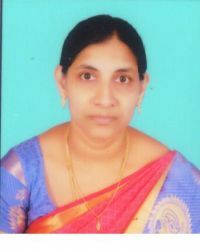 Ms. P. Pravallika awarded Gold medal for Highest marks in Zoology at Acharya Nagarjuna University level during 2009-12. MS. M. Harika awarded Prathibha Award – 2015 from the Governoment of A.P for secured highest marks in B.Z.C. 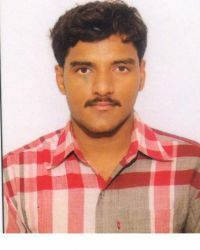 at Krishna University level during 2012 – 15. MS. Ch. Priyanka awarded Prathibha Award – 2015 from the Governoment of A.P for secured highest marks in B.Z.C. at Krishna University level during 2012 – 15. MS. K.Anusha awarded Prathibha Award – 2016 from the Governoment of A.P for secured highest marks in B.Z.C. at Krishna University level during 2013 – 16. MS. D.Pravallika & K.Sajani awarded Prathibha Award – 2017 from the Governoment of A.P for secured highest marks in B.Z.C. at Krishna University level during 2014 – 17. Laminar air Flow bench , Hot Air Oven, Incubator, Digital pH meter, Digital Balance, 0.0001gm (0.1mg) resolution, Digital Light (LUX) meter, Digital Spectro Photometer, LCD Projector, Bio Visual Slides, Bio Visual Charts, Museum Specimens, OHP, which are more useful to the students. The aim of this attempt is to generate awareness amongst people about the various harmful effects around Holi celebrations and encourage people to celebrate an eco friendly Holi! The objectives: To enlighten the public regarding the value and medicinal importance of plant leaves used in vinayaka chathurthi and pollution caused due to the usage of plaster of paris for making idols which results pollution and harmful effects to the water bodies when they are immersed in water. The Practice: Every year one programme is organised to educate the students and public regarding the importance of plants used in patri puja and to avoid the usage of plaster of paris idols. For example; distributing earthen vinayaka idols for public, arrangement of exhibitions with 21 types of leaves and plants used in Puja and organising rallies to educate the public. 1. To enrich the students with current affairs and general knowledge. The Practice: Every day, during morning session in between 1st and 2nd bell, 4 general knowledge points (one point related to science, one point related to arts, one point related to current national news and one point related to sports) are announced to the students through public announcement system of our college.